Sakal Media Group is one of the leading media groups in India, reaching more than 12 million people daily in India and across the world. Flagship publication 'Sakal' is one of the largest circulated regional language daily, with largest share in regional language print advertising. The group has also marked its presence in English newspaper genre with the successful launch of Sakal Times. Agrowon the first & the only newspaper on Agriculture in India & Asia, is the most popular source of information and news in the Agro sector of Maharashtra. The Group has many popular niche publication like; Saptahik Sakal, Tanishka, Premiere, Young Buzz, Sakal NIE catering to the various needs of different age groups and genders. www.esakal.com is the most popular news and information website in Marathi and is visited by millions across the world, especially the local population abroad. 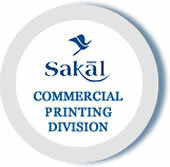 The Commercial Printing Division of Sakal is a ‘state of the art’ specialty unit delivering to the growing needs of our advertisers and business partners. Saam TV is the regional general entertainment channel of Sakal. Based on its rich content bank and brand equity Saam TV is providing the best and most thorough coverage when it comes to news research, delivery and variety of programs. Sakal Events are a big confluence of buyers and sellers, information seekers and providers from across all the sectors of the economy and society. With properties in education, agriculture, real estate, health, trade and many more; the events are a benchmark of active participation from all sectors. Sakal Social Foundation (SSF) is a Sakal Group’s initiative, actively contributing to the development of a better society. Addressing issues of national and international importance; right from disaster management and rehabilitation of millions of lives during many famines, floods, earthquakes,the recent tsunami to women rights issue and basic education.